Oh boy, Bright Paper Packages outdid themselves this month. Last month's box with the theme 'Celebrate & Sparkle' was wonderful, but this month's 'Bright New Year' was a new level of spectacular. The first thing in the box was this adorable illustrated desk calendar from Not Only Polka Dots. 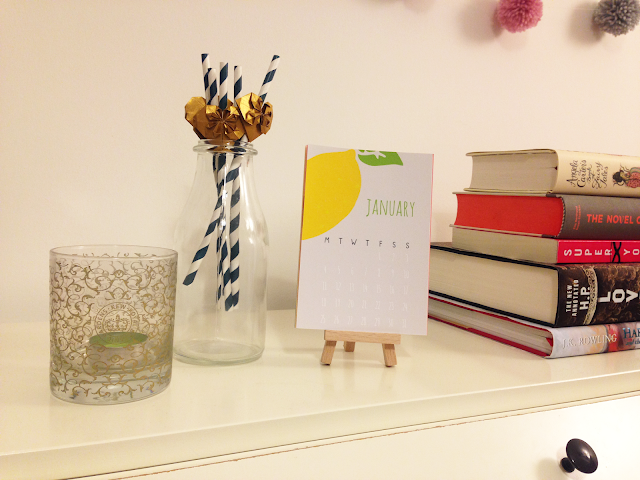 The calendar is a mini-easel with a selection of illustrated designs for each month, each with a fruity print. I am absolutely in love with this and am so happy with it as I've been trying to find ways to still keep a physical calendar in my room after moving away from large wall ones (I use my phone to keep dates these days). It sits happily next to last month's straws. 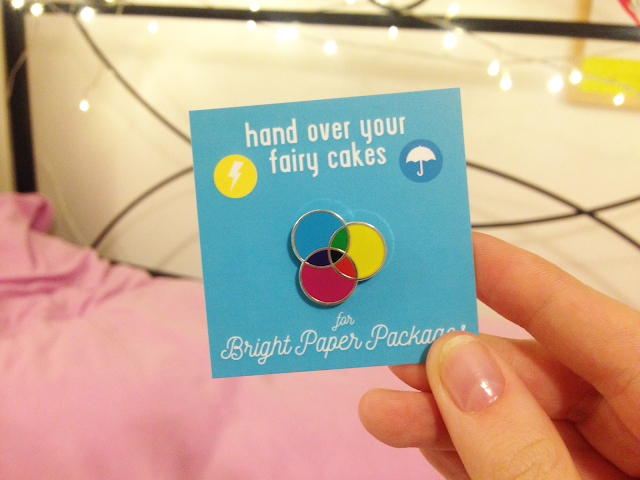 Next is this mini enamel pin badge from Hand Over Your Fairy Cakes, a company from which I have often admired products in the past. My stepmum is a fan of their jewelry so I was really happy to see something from them in this month's box. The rainbow spectrum design looks wonderful on a cosy jumper and has brightened up my outfit's this week at work. I'm really happy with how well made this pin is and I can tell the colouring isn't going to scratch off or the metal oxidise any time soon. 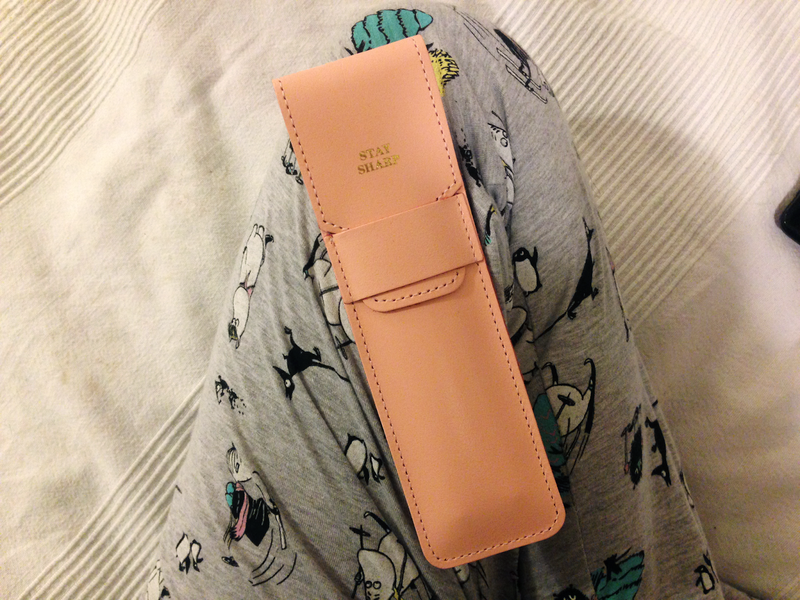 Next up is this pink leather pencil pouch from Ark Cambridge, a company very local to me and a shop I've been in many a time! As soon as I saw this I fell in love. 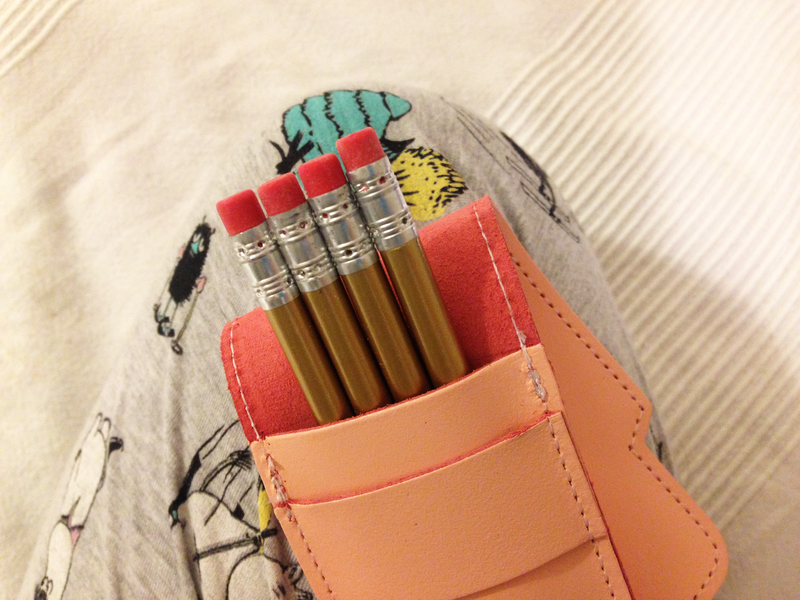 I've seen similar sassy stationary on the likes of Pinterest and Tumblr a lot in the past year, so I'm incredibly happy to have my hands on some. Inside the pouch came four golden pencils. 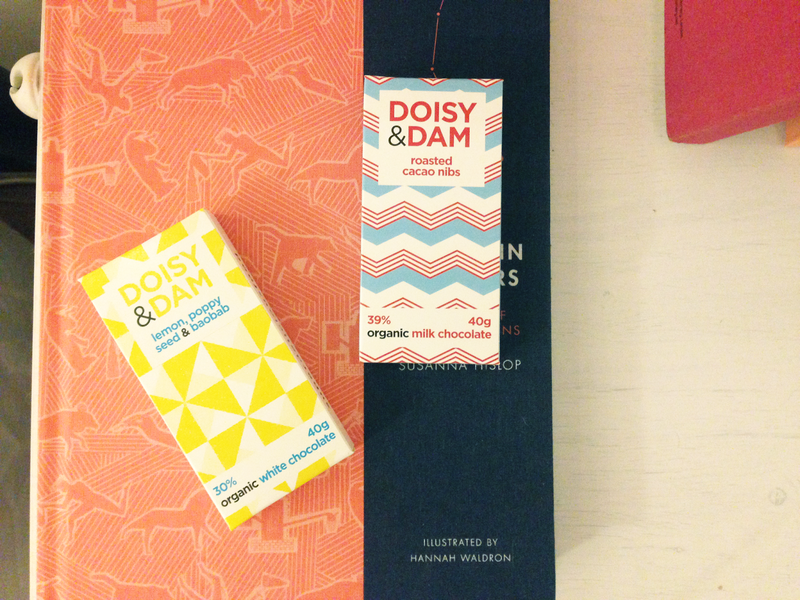 Last but certainly not least are two bars of organic chocolate from Doisy & Dam. One bar is white chocolate and contains lemon, poppy seed, and baobab (I'm not sure why I'm talking in the present tense; these bars are long gone) and the other milk chocolate with roasted cacao nibs. Both were delicious treats and I'll be keeping my eye out for more by this company (date and pink salt, yum). I believe both bars were fully gluten and soy free, organic, and with products sourced sustainably. Many of their dark chocolate bars are also vegan, so maybe a good thing to keep in mind when you're looking for a gift. I'm over the moon with happiness thanks to this month's Bright Paper Packages box, and can't wait to see what pops through the door in February.